Beautiful dramatizations by Fr. Peter Ryan, SJ, of scripture passages before each Hail Mary and inspired chants composed by Janis (after each decade) that correspond to the 5 Sorrowful and and 5 Glorious Mysteries. 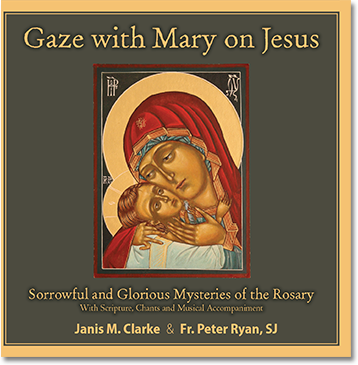 An invitation to enter with Mary, into the major events of Jesus’ life, beginning with his conception and continuing to the institution of the Eucharist.